If you would like to read Bishop’s letter before you receive it in the mail next week, you may access that here: 2019 Mission Support letter from Bishop Gronberg. You may access the online and manual 2019 Mission Support forms here. This serves as notification that the position, Chaplain, GS-0060-12, at FCC Pollock, has been posted to USAJOBS. The open period for Excepted Service vacancy announcement, SCR-2019-0015, is until 11:59 p.m. Eastern Standard Time, on Monday, November 5, 2018.
Who May Apply: OPEN TO ALL U.S. CITIZENS. 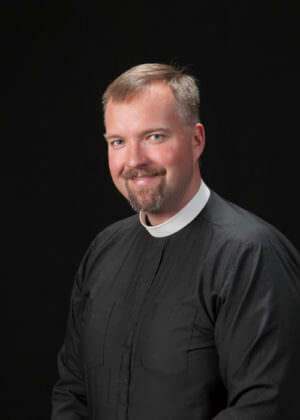 Several NT-NL folks are featured in the Fall 2018 edition of Table Talk by the Lutheran Seminary Program in the Southwest (LSPS). When the ELCA Strategy on HIV and AIDS was approved in 2009, it recognized the ELCA’s call to faithfully and effectively participate in the larger global and domestic response. Knowing that many throughout the ELCA are engaged in different capacities around HIV and AIDS, this survey will gather more information about the ways your ministries have in the past, are currently, or will be engaging. Please consider taking a few minutes to share your feedback. Please participate in the survey. In 2009, the ELCA Church Council adopted the ELCA’s Strategy on HIV and AIDS. As we prepare to enter the 10th year of the strategy, this World AIDS Day we remember that the ELCA isCalled to Respond. Each congregation and individual throughout the ELCA is invited to participate. 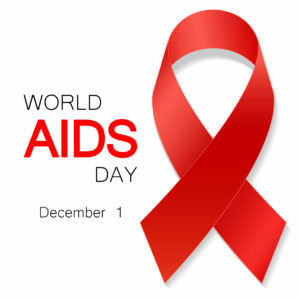 Worship: Consider including pieces from the World AIDS Day worship resource for your Sunday liturgy on Dec. 2. The ELCA is called to work toward ending stigma and discrimination. And in bringing the conversation about HIV into our congregations through worship, we can challenge the silence that remains and work toward being welcoming, affirming spaces for all. Advocate: We are a public church that stands up and speaks out for a just world. You can participate in advocating for policies and programs that support prevention, testing, treatment, and other important services for people living with HIV. As you prepare for World AIDS Day, make sure you sign up for advocacy action alerts to learn about what’s happening currently. Give: You can support the ELCA’s work around HIV and AIDS, or partner with other organizations in your community that are responding. You can learn more about the ELCA’s Strategy on HIV and AIDS and how to get involved at ELCA.org/HIV. Let us know how your congregation is participating in the response to HIV. You can connect through social media or by emailing Megan.Neubauer@ELCA.org. This World AIDS Day, consider how you and your congregation are Called to Respond with others throughout the ELCA and as part of the larger domestic and global response to HIV. Complete your Live Well Challenge! Don’t leave money on the table – Portico plan members and spouses with ELCA-Primary health benefits have until November 30 to complete Portico’s 2018 Live Well Challenge and earn up to $400 wellness dollars. These wellness dollars help you pay for eligible out-of-pocket medical, mental health, and dental costs. This year, Portico is offering a more objective way to assess your physical health. A biometric screening gives you the facts about your health strengths and risks, so that you can discuss potential concerns with your doctor and make the right choices for you. Schedule an appointment at one of 2,200 Quest Patient Service Centers for your screening (by Nov. 30), or have your doctor gather your information and submit a form to Quest (by Nov. 15). Creating and updating a retirement savings plan over time is how people save for the retirement they want. Portico’s Retirement Planning Tool is designed to help you create a customized retirement savings plan by combining information in our system with information you provide. Annually, it helps you determine if adjustments are needed, like increasing your savings, reallocating assets, or changing your planned retirement date. The 2018 Blandy Lectures, at the Seminary of the Southwest, in Austin, Texas, will be held November 8-10. 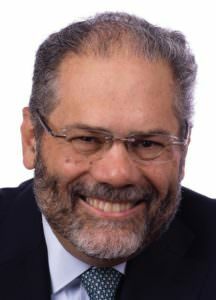 The featured speaker for Thursday, November 8, at 7:30pm, is Ray Suarez, who will address “The Fragmentation of Authority in Contemporary Culture.” Suarez will deliver a candid and authoritative examination of society, politics, and the broad impacts of America’s demographic shift to a “minority majority”. The Thursday evening address is FREE and open to the public. Registration is requested. We live in a polarized society in which neither “side” listens to the other. Families are being split apart, friendships are fractured, and even our church family finds it difficult to bridge the divide. We are unable to talk about the most important topics that affect our lives. We can do better. This workshop provides a Biblical foundation for honoring the humanity of others, and teaches skills to have better, more meaningful conversations with those with whom we disagree. Following up on the learning from our experience at our 2017 NT-NL Leadership Convocation and our initial Coach Training launch in February of this year, we will be hosting another ELCA Coach Training, Level 1, event Tuesday-Wednesday, November 27-28, 8am-5pm both days. This will be an opportunity to learn more about coaching and begin the process (for those who desire) towards coaching certification. The cost per person is only $150 for NT-NL members or $350 for all others *. This cost will assist with materials and presenters and invites commitment from participants. 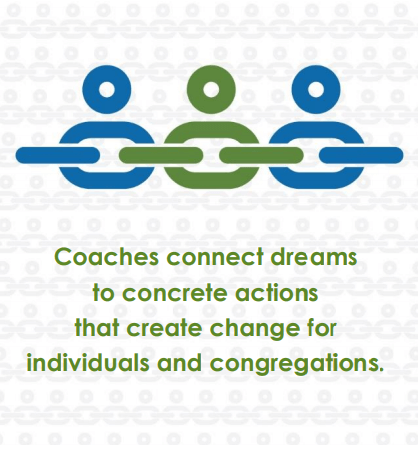 Click here for the ELCA Coaching Ministry Overview. REGISTER HERE for ELCA Coach Training, Level 1. Our first ELCA Coach Training, Level 2, event will be held immediately after, Thursday, November 29. Participants must have completed Level 1 training and all required follow-up. REGISTER HERE for ELCA Coach Training, Level 2. * Both events are limited in size and will be heavily subsidized by the ELCA and DiscipleLife Endowment Funds. 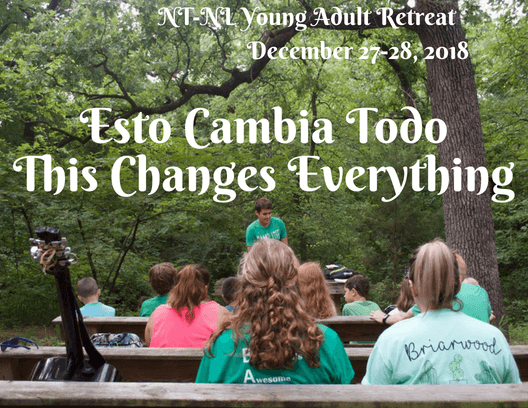 Who: Young Adults 18-25 (post high school): Former LYLEs, Briarwood Camp Staff, College Students, Campus Ministry students, others interested in God’s call in their lives. What: Conversation around scripture with other young people and leaders in NT-NL. Time to get away for a bit during Christmas break, enjoy fellowship, maybe take a ride on the zip line, worship around a campfire, and enjoy Briarwood’s beautiful campus. Goal: Provide space for discernment and conversation around goals for future vocation for young people connected to NT-NL. Provide some time during Christmas break and a safe space for conversations about faith and life. Not specifically targeting church vocations, encouraging all to think about how God is working in their lives now. Click here for full details and to apply. Limited to 25 participants. A short worship service with a message from the bishop. A photo for each confirmation class taken with the bishop. A ministry fair with information and involvement opportunities from synod and ELCA ministries. Congregations will be invited to register their whole confirmation class, including teachers and adult advisers. Click here for a Save the Date flyer. REGISTER HERE.